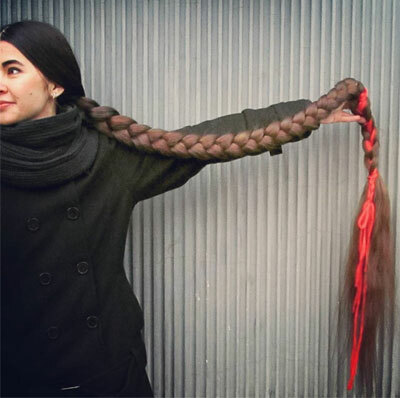 Meet a real life Rapuenzel, Aliia Nasyrova, whose hair is 90 inches long (7.5 feet). 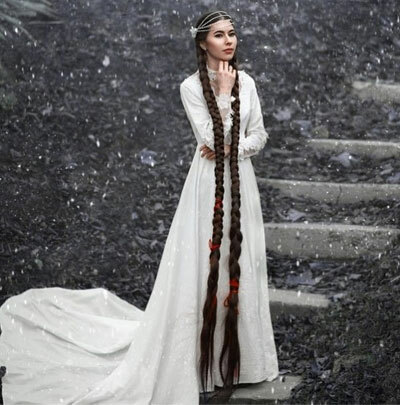 While many women may have no interest having that much long hair, you have to give her credit on maintaining such healthy hair in an amazing condition. 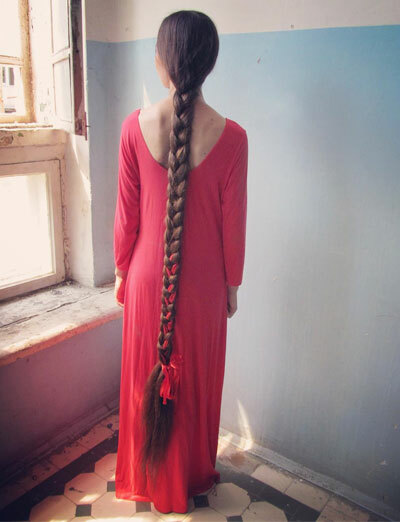 Aliia says she has been growing her hair for more than 20 years – two decades long – and it weighs about 4.5 pounds. 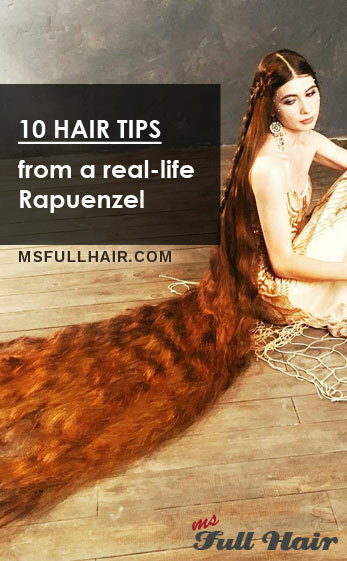 She also mentions that it takes about an hour to thoroughly comb her hair and a FULL DAY to dry. Trim split-ends once a month. Change your hair care products often (shampoo, conditioner, etc), so the scalp doesn’t get used to the same ingredients. Massage your scalp to stimulate hair follicles. Moisturize the scalp and hair, especially during the cold season. A hat protects hair during sharp temperature drops. Try to avoid hair styling tools such as dryer and curling and flat irons. If you have to use hair tools, use one with thermal control features. Do not use hot or cold water when washing your hair (Go for lukewarm water). If you are having hair loss, pay close attention to your diet, sleep and stress level. My mother has given me a personal challenge of growing my hair till her 60th birthday. My hair is just slightly above the small of my back. I look forward to receiving proper information on hairgrowth so that I may grow the healthiest hair possible!